From an early age Christ and the Holy Spirit have been cornerstones of my spiritual life. In my early teens I read the entire Holy Bible, attended revivals in Chicago with Rev. Billy Graham and later with Kathryn Kuhlman, for whom I have great admiration, as I deeply felt the Spirit moving powerfully through her testimony and message of light and love. When 17 years old I fasted for 7 days on water and a bit of honey and had a personal visitation by beloved Jesus within my heart. In my late 40s I studied the 150 Psalms of David and observed similarities between his life and that of our Lord—both shepherds in their own right. Then on June 6, 2004 a miracle occurred and I received a certain empowerment that has been with me ever since, allowing others to receive a sacred baptism by fire through my ministry. 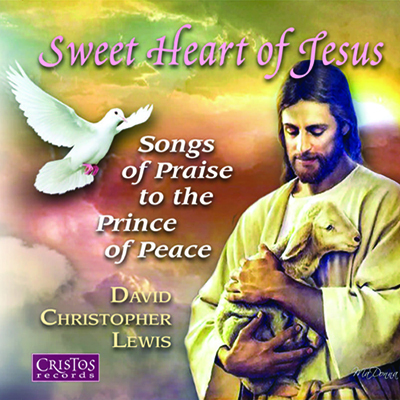 I pray that this music will stir in you a greater desire to connect with Christ within your heart and live a deeper life of spiritual authenticity in God’s Divine Presence. Will You Be Here fo Me? Sweet Heart of Jesus, fount of love and mercy, today we come thy blessing to implore. O touch our hearts and raise them in your presence as we shine forth God’s light forevermore. Sweet Heart of Jesus, we thee implore; Each hour we love thee more and more. Sweet Heart of Jesus, we accept your radiance as you reveal the treasures of God’s grace. Inspire our hearts and minds to sense our oneness as we behold the light upon thy face. To follow close the print of thy dear footsteps. And if we fall, Sweet Heart, O love us still. I was on my knees in prayer with the light of God around me. Great their anguish and cries of pain when their tiny hearts are silenced. Who know not the pain and sorrow they may cause themselves tomorrow. When they’re born to this world below they will bring us their great vision. And I hear the music of your laughter… I am one who understands you, I am one who understands. one whose breath restores my soul, one whose breath restores my soul. All my needs are answered in your gaze, all my sorrow fly away. You’re the one I’ve waited for and dreamed of. You’re the blossom of my garden, you’re the blossom of my heart. my happiness will echo, when you cry my tears will follow, when you cry my tears will flow. We are ready for a greater view, we have time to reach the stars. And begin to know your love—Jesus dear. When I wake each day and begin to pray I can hear the angels sing. And their words of comfort cleanse my soul with their essence so sublime. 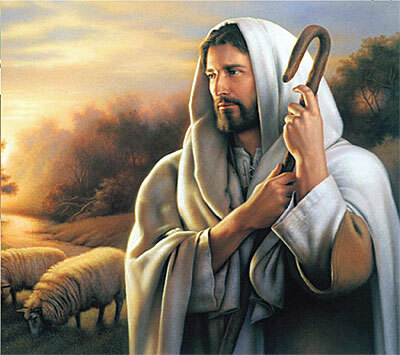 When their light is near I begin to hear whispers of the Lamb of God. And his words are honey to my soul with their essence so refined. For my seamless garment waits for me in realms of light so near. And my heart does burst in a psalm of love for the grace he came to share with us. And I know my life is complete in his, in his Presence so divine. For my crown of victory waits for me in realms of light so vast. And his words are honey to my soul with their essence so divine. Take my hand, Jesus dear, as we travel together. Light my way on the path through all tempest and danger. Be my guardian and friend through all strife that I see. Keep me truthful and faithful, be ever with me. Help me love every soul that I meet on the morrow. Be with all whom I know who are burdened by sorrow. Keep a smile on my face; let your eyes through me shine. Keep me humble and helpful and patient and kind. Keep my eyes on the goal as we follow the rainbow. Send your angels to guide me with light from above. Take my hand, Jesus dear, lead me higher and higher. Blessed Master, I love you, be ever with me. Jesus dear, take my hand. Jesus loves the little children—All the children of the world. Red, brown, yellow, black and white; All are precious in his sight. Jesus, heal the little children—All the children of the world. Jesus, heal the little children of the world. Jesus, raise the little children—All the children of the world. Jesus, raise the little children of the world. Jesus, bless the little children—All the children of the world. Jesus, bless the little children of the world. Will you be here for me? Will you receive my gift? And break the bread of life? And feed my lambs with light? Will you be here for me? And wash their feet with care? Bind up their wounds with hope? Anoint their souls with grace? I will be here for you. I will impart your fire. I will be true to you. I will love you. Will you be here for me? Will you restore my sacred words? And keep my watch each night my dear ones? And pray with greater fire? I will be here for you. I will impart your hope. I will restore their souls. I will love you. If you would give me pause and share your deepest dreams. I will enfire your souls, my dear ones, and share my diamond Self! I will be here for you. I will be kind to all. I will restore your words, I will love you. Children, children, will you, will you, hear me? Cycles come and go. Winds of change are here. But our love lives on. There’s no need to fear. For life is not a struggle but a journey of love. When I’m here with you time and space expire. As our hearts expand all will feel this fire. All I’ve learned thus far is as foam and mist. But our love burns on in eternal bliss. For life’s our doorway home, a sacred journey of love. A sacred journey of love. The humble heart’s the one that gives when others stop to rest. The humble heart draws strength within to greet each coming test. The humble heart works overtime responding to your needs. The humble heart lacks not in grace and lifts you with a smile. The humble heart beats ever on—its work is never done. The humble heart grows never mean or hard through all its days. The humble heart’s compassionate and wears an angel’s face. The humble heart is purposeful yet argues not its cause. The humble heart looks up and puts its trust in higher laws. The humble heart imparts a flame and loveliness instills. Through words of kindness, charity and light from God above. Drawn by Thee, our souls aspiring Soar to uncreated light. Where the flocks in Thy confiding, Drink of joy from deathless springs. Theirs is beauty’s fairest pleasure; Theirs is wisdom’s holiest treasure. You do ever lead Thine own In the love of joys unknown. A disciple tried to quiet them and to have them go away. And then all the children gathered round about the Lord that day. He invited them to listen and hear all he had to say. Bring the children to me” are the words of our Lord. “Bring the children to me, for their love is pure and free. Let not your heart be troubled, nor let it be afraid. Be still and know that I AM God, you’re in my image made. Inner joy, inner peace. Keep your heart pure and free. Let not your mind be troubled, let no one take your crown. Be still and know that I AM God, and deep within I’m found. Inner fire, inner peace. Keep your mind fixed on Me. Let not your soul be troubled, stay centered in the light. Be still and know that I AM God, I’m here through darkest night. Inner calm, inner peace. Keep your soul pure and free. Let not your eyes be troubled by all you see without. Be still and know that I AM God, my love is all about. Inner love, inner peace, keep your eyes fixed on Me. Your world be troubled, nor let them be afraid. Inner joy, inner fire, inner calm, inner love, inner poise, inner peace. Joy to the world! The Lord is come! Let earth receive her King. Joy to the world! The Saviour reigns! Let men their songs employ. No more let sin and sorrow grow, nor thorns infest the ground. May the angels go with you wherever you go; May they guide every footstep with heavenly glow. May the seraphim, cherubim from realms above send their legions to seal you in faith, hope and love. May the angels protect you; May they guide and direct you. May their wings e’er enfoled you in unending joy. May the angels be with you; May their light shine upon you. May you live in their presence of heavenly peace. May the angels go with you wherever you go; May they stay all around you, above and below. May the angels watch over you each hour of the night; May they bless you and keep you in radiant light. Send their legions to seal you in faith, hope and love.